This panel discusses the future of certification initiatives in mineral and agricultural supply chains in Africa. 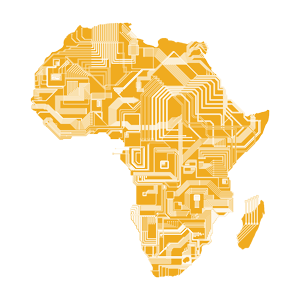 With the growing role of digital traceability and blockchain initiatives, how to ensure new modes of connection and inclusiveness between African producers and consumers in the North? Africa has been at the forefront of certification initiatives for traceability and transparency in mineral and agricultural supply chains. Presented as the silver bullet to the problem of record-keeping in commodity transactions, the growing role of paperless certification and digital-based traceability, as in recent blockchain-based pilot projects, raises questions on the participatory nature of data creation for producers across the continent. If these initiatives render ethical qualities visible to consumers, who rely on certification standards like those developed by the Kimberly Process and the Rainforest Alliance to assess the moral attributes of consumer goods, the move toward digital traceability raises specific challenges for African producers. It is now widely accepted among social scientists that processes of certification and the bureaucratic regimes that accompany them have tended to increase the divide between producers and consumers, replacing personal relationships by the mediation of paper technologies. Digital traceability and transparency programs, however, promise to strengthen the interconnections between regulated market economies and the marginalized realities of local producers. How can these new technologies and digital interfaces generate new modes of interaction and connection between African producers and consumers in the North? How to ensure open, inclusive, and collaborative certification? This panel problematizes these innovations by placing at center stage the social context, practices and the material bedrock bolstering digital transparency, certification and traceability mechanisms. We invite papers that examine how emergent technologies of certification may foster transactional relationships or enable new value-creating opportunities for local producers. 'Ethical' minerals and timber certification: Can new technologies improve accountability towards affected communities?